Reminder: The Orphans of the Storm® Annual Benefit Dinner is fast approaching–April 22 at 5:30pm! I hope to see you there! Tina the three-year-old Border Collie mix isn’t quite ready for adoption yet, but she–like Tyler–is sure to have lots of people asking about her. What a gorgeous girl! Tina had a kennelmate who has since been adopted, so we know that she gets along well with other dogs and could therefore go into a home with or without another four-legged friend. Tina seemed to be a little shy when we first got to the off-leash run, and was just enjoying being out in the sun and getting to sniff and explore. That fluffy fur of hers is just too soft to not pet, though, and Tina started to warm up and let me scratch the top of her head. If you think Tina might be the pooch for you, stay in touch with the shelter to learn when she’ll be ready to go to her new forever home. 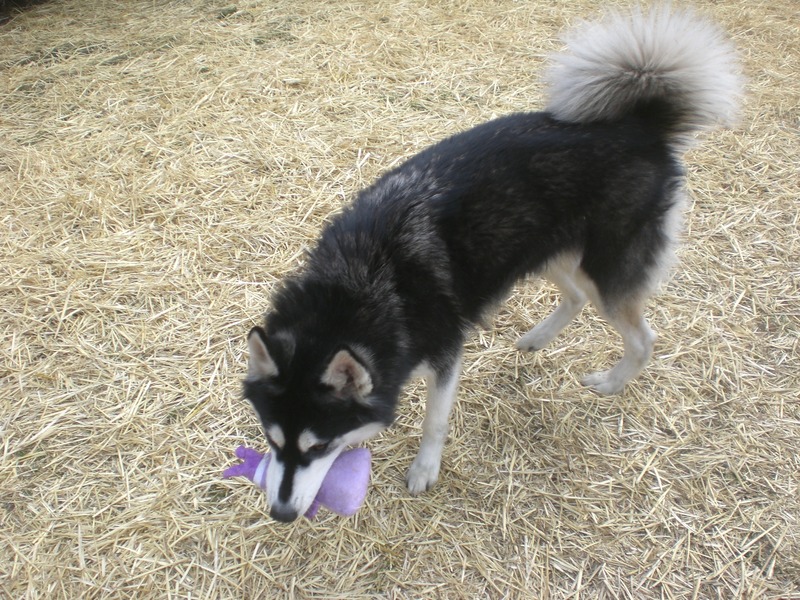 Maya the four-year-old Alaskan Malamute mix is, like the rest of the Huskies/Malamutes I’ve written about (like Akiva! 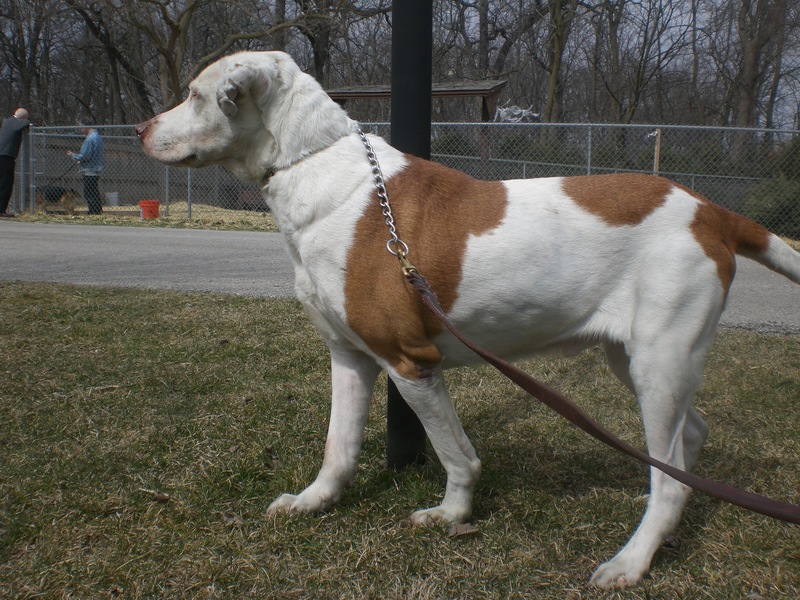 ), one of the prettiest dogs at the shelter. One look at that face, and you know you’re looking at a great dog. 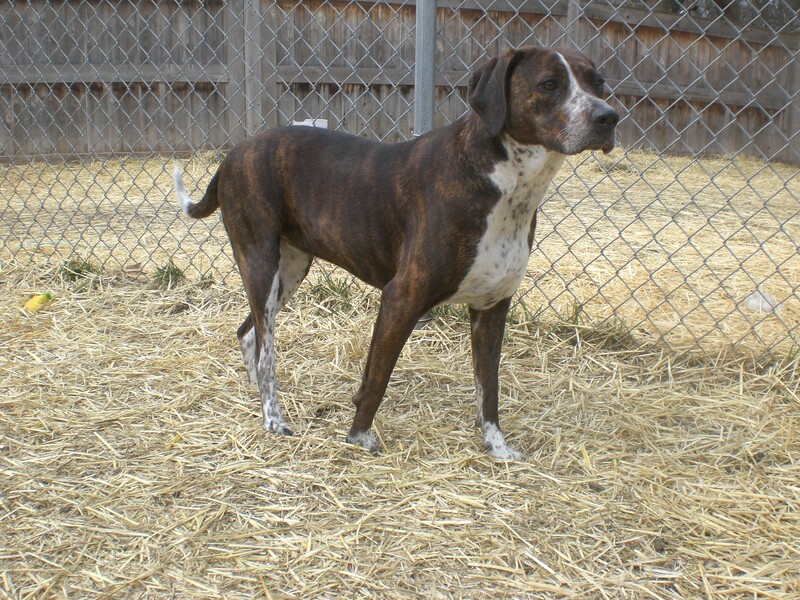 Maya is both athletic and playful, so she would enjoy going to a home where her people have the same traits. Maya is one good-looking dog! Maya seemed to prefer the purple plush squeaky toy over a regular tennis ball, and happily chased after it when I threw it across the run for her. 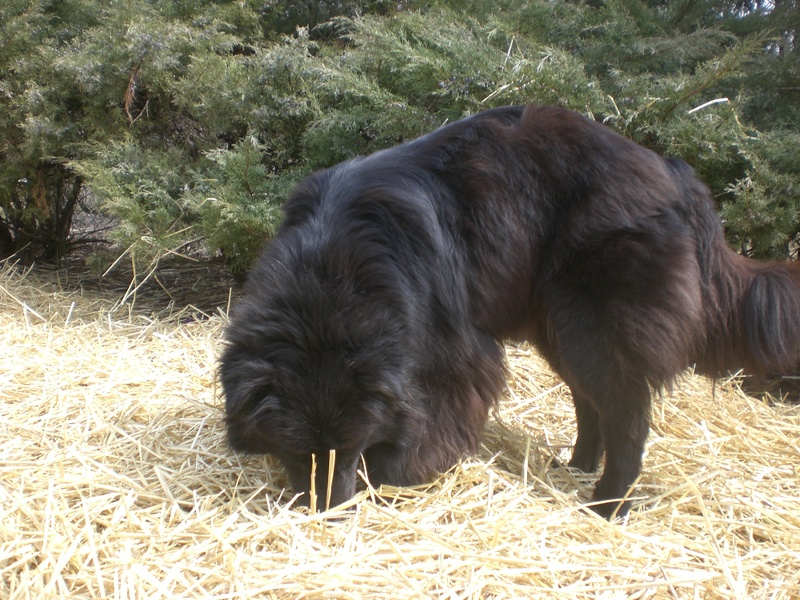 She liked investigating under and behind the bushes, but would always come back for a nice scratch on the back. Her soft fur will make her a great cuddle buddy! Is Maya’s future home with you? 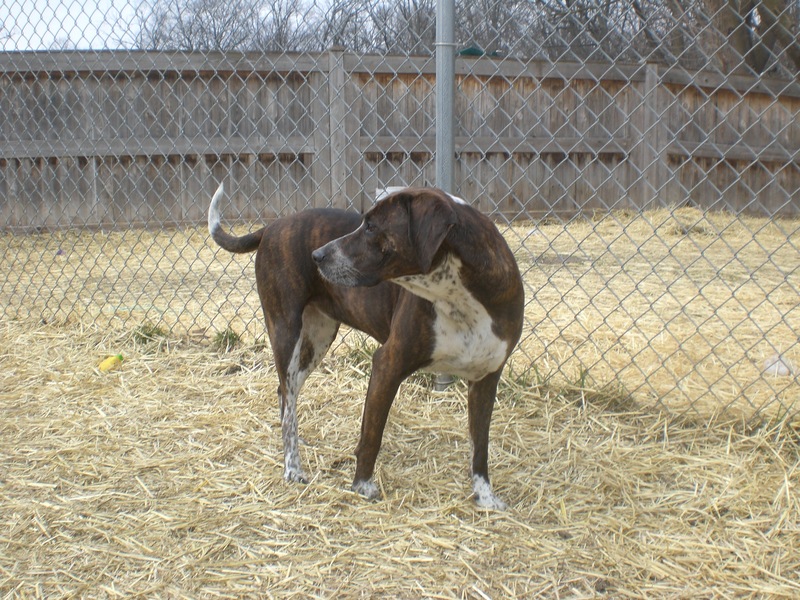 Bailey the two-year-old Pointer mix (not to be confused with the other Bailey, who is still eagerly looking for her new home too!) might just be one of my new favorites. She was pretty shy at first, always keeping a couple feet of distance between us when we were inside the run. She let me put her leash back on, though, and after we had been walking together she started to show just how sweet she is. Bailey is a pleasure to walk. She’s happiest right by your side, or just a little bit in front, but doesn’t pull on the leash at all. When I knelt down next to her, she tentatively sniffed me and then decided that I was worthy of some nice doggy kisses on my chin. After that, she stayed next to me and enjoyed getting her chin scratched. Bailey may be a little slow to open up, but once she does, you know you have found a loyal friend. Buster the one-year-old silver Labrador Retriever mix is another dog who isn’t quite ready to go home yet (sorry!) but will surely be adopted quickly once he is. 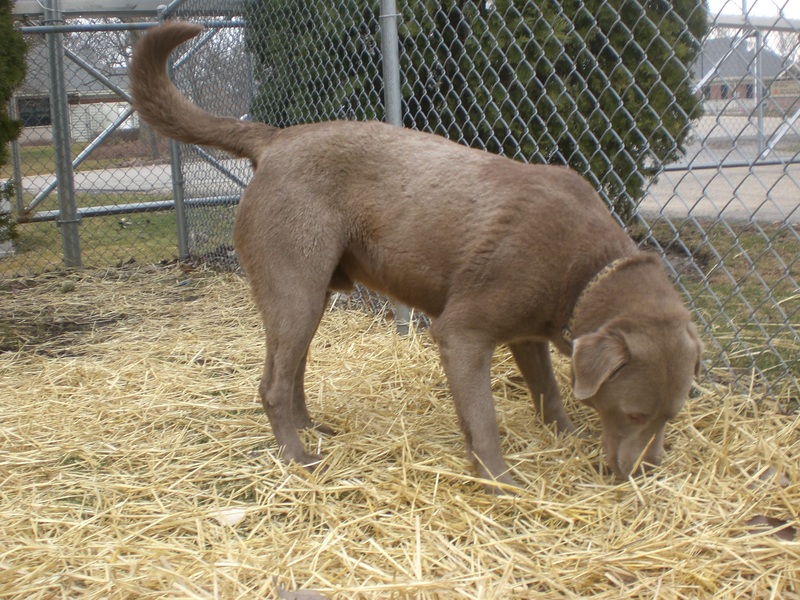 He’s the perfect Lab: friendly, happy, and playful, with a constantly-wagging tail. He’s a pretty big boy, especially for just being a year old, and can be pretty strong when he first gets out of his kennel. Once he has the opportunity to stretch his legs, though, he’s a good walking buddy. Buster likes everybody, from people to little Chihuahuas and everyone in between. He wants to get his nose into everything and will cover you in doggy kisses if you give him the chance. This happy-go-lucky guy will be even happier once he’s in a home of his own, with a new loving family. 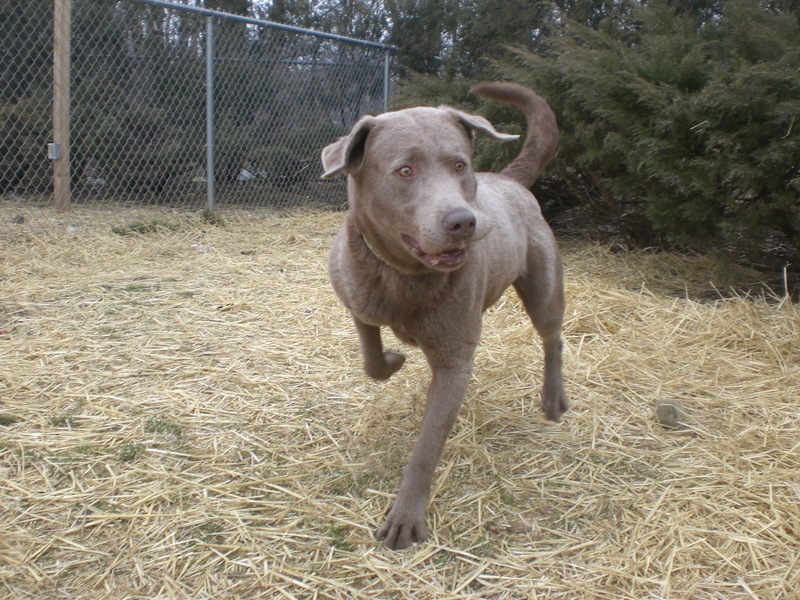 If you’re looking for a Lab, keep an eye on Buster! Ty the nine-year-old Labrador Retriever/Bulldog mix could really use some cheering up right now. For reasons I can’t even begin to understand, his family didn’t want him anymore. How could that be? 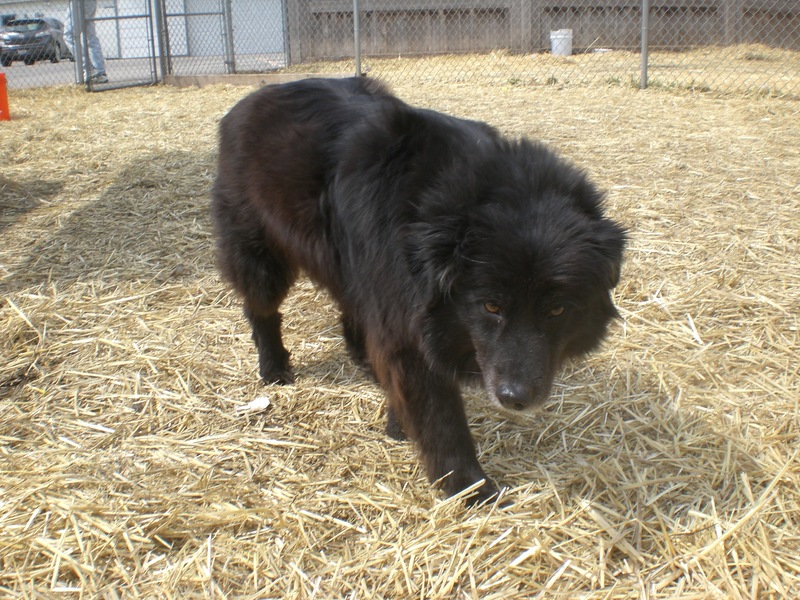 Ty is one of the gentlest dogs I’ve walked at the shelter. This is partially due to his age, but also due to his sweet personality. Unlike most of the other dogs I’ve written about today, Ty doesn’t need a whole lot of activity to keep him happy. A nice walk around the neighborhood a couple times a day would be appreciated, but he doesn’t need to be jumping through hoops or anything like that. Ty would gladly join you for some relaxing time in front of the TV, as long as you’re scratching his cute ears. Give Ty a reason to wag his tail by welcoming him into your family! Ty would be much happier with a new family that loves him! 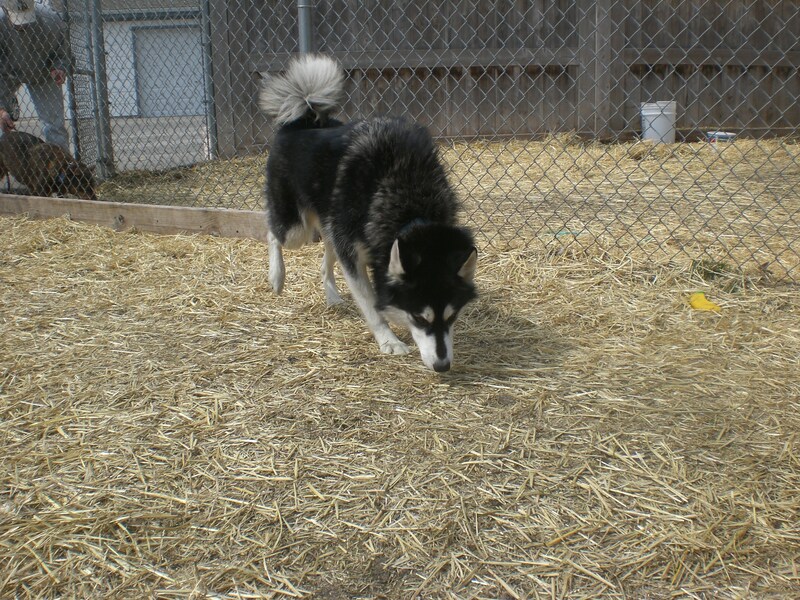 Posted by Meet the Pooches on April 11, 2013 in Dog Profiles and tagged adoption, Alaskan Malamute, animal shelter, animals, Border Collie, Bulldog, Chicago, dogs, Labrador Retriever, Orphans of the Storm, pets, Pointer. What beautiful dogs!! Tina is like a black bear! Gorgeous!!! I know! It’s crazy to think that any of these great dogs ended up at a shelter. Is TY good with other dogs? He seemed pretty dog-friendly when I was with him, but we always recommend that you bring your current dog(s) to the shelter so they can be introduced to each other. When would Buster be ready for a new home? The shelter is approximating a couple of months, but please feel free to call the shelter for an update! When would it be appropriate to schedule a visit to meet Buster? No need to schedule a visit. The shelter is open every day of the week from 11am-5pm. You can go whenever is convenient for you to meet Buster. Has maya had any encounters with cats ,and if so were they good?? I’m not sure. 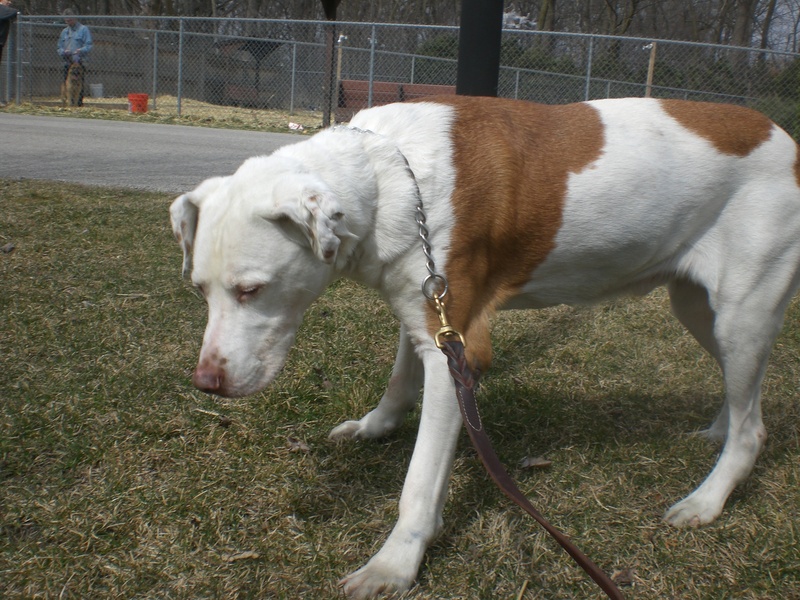 You can call the shelter at 847-945-0235 to check if they have any information about her history with cats. We can also do a cat-test for you at the shelter (there are dog-friendly cats that we can introduce to dogs to see how the dogs react).